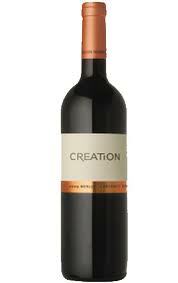 Creation Wines: Creation Wines Merlot Cabernet Petit Verdot 3 Liter Creation Wines Merlot Cabernet Petit Verdot 3 Liter: �The Creation Wines Merlot Cabernet PV is a Bordeaux-style blend in the finest tradition. Dense, blue-black in colour with gorgeous hues of violet. The sumptuous berry bouquet tempts with generous blackberry and blackcurrant aromas against a background of smoky oak. The palate is in perfect harmony: taut and richly textured with well-integrated tannins promising excellent maturation potential. 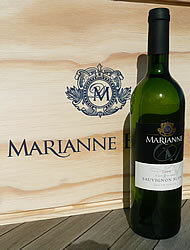 https://www.weinbaule.de/big-bottles-creation-wines-merlot-cabernet-petit-verdot-liter-p-2475.html?osCsid=2fe9676edaa1121998b2028d0894b292"> Wine 89.99 WeinBaule.de | The Home of Wine Creation Wines New In stock!